It's an honor to have Melissa Marr, one of the authors on the upcoming (amazing!) Compelling Reads Tour, answer some questions for us today following the highly-anticipated release of her Southern Gothic thriller, Made for You. Kirkus calls it "a tightly choreographed spine-chiller with an intriguing view into the mind of a psychopath," and says the "riveting whodunit delivers a bouquet of teen romance, paranormal and thriller." Q: What’s your favorite thing about Made For You? A: Writing Judge. I’ve wanted to write the voice of a killer since I first taught Joyce Carol Oates’ fabulous short story “Where Are You Going, Where Have You Been?” (when I was teaching university in the 90s). That was also right before I had a stalker. . . all of which was when I lived in North Carolina. So I think this particular novel has been percolating longer than anything I’ve written. It was exciting to get to write the story, and especially Judge. Q: What inspired you to bring many of the themes you’ve tackled in fantasy into a contemporary setting? A: Is this the part where I admit that I’m not sure what themes you mean? I don’t set out with themes. Sometimes I can find them when I’m in revision, and sometimes I find out what they are when readers or interviewers ask about them. Sadly, though, I don’t do any of it on purpose. If the same ones are in there, I suspect they must be things I’m pondering or interested in exploring further. Q: In which ways were you constrained or liberated by writing within a “real” world as you navigated Eva’s newfound power to foresee people’s deaths? A: I didn’t feel constrained. The only real exceptions were that Eva needed to get discharged from the hospital sooner than would be medically wise, and that her broken leg really limited her mobility, so there are a number of scenes where she needs carried or pushed in her wheelchair. That was hard because I wanted to avoid the “damsel” trope. Overall though, the book was a big logic puzzle. Most of the real-world aspects simply added to the difficulty the characters faced, which was an asset to the story. Q: You do suspense and intrigue so well. How did you begin to construct the mystery for this story? Character or plot? A: Thank you! The story started with Eva getting hit. From there, I did what I do for every book: I asked “what next” & “how did we get to here?” That, as it often does, answered a lot of my questions on characters (“who are they?” answers spring from “what do they want?”) and plot trajectory. I write in layers, so each draft I’d layer in different clues. It’s a slower process, but I wanted to insert cues that could lead readers to think this or that person was Judge—and possibilities as to which person would be the next victim. That’s my standard process: a) inroads scene, b) questions, c) layers. It generally results in the first draft of a book, and then I revise repeatedly. Q: What drew you to the Southern Gothic setting and genre? A: My graduate thesis was on Southern Lit (Faulkner specifically). I lived in North Carolina for 7 years, and in Virginia for 9 years (split over two separate times living here). Mix that with a childhood in a rural area, and the draw towards this setting was hard to resist. 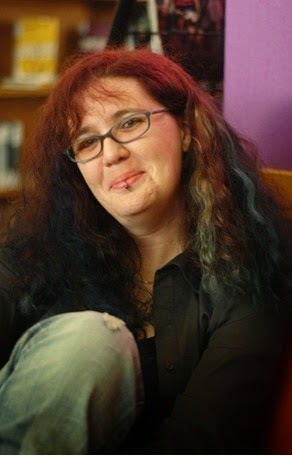 Melissa writes fiction for adults, teens, and children. Her books have been translated into 28 languages to date and been bestsellers in the US (NY Times, LA Times, USA Today, Wall Street Journal) as well as various countries overseas. She is best known for the Wicked Lovely seriesfor teens and Graveminder for adults. Made for You sounds fantastic! I've read about it in a couple of places and am looking forward to getting my hands on it. And what a great cover! OMG I've been dying for this book. I adore Melissa Marr!!! So so bloody eager for this! I love Melissa Marr and her books! Great interview and I am excited for Made For You! This is just the kind of scary thriller that's always a big hit at our house. I'd love to win a copy, thanks for the chance. This just sounds so incredibly good. Thanks for a chance to win a copy and thanks for the interesting interview. This book sounds so, so good! 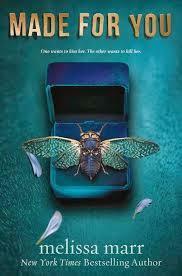 And I adore the cover, it is so strange but so lovely! LOVE Melissa Marr! I'm so happy there's a romantic aspect to this as well, and I love how she put in clues!! Look forward to reading it, loved your other books.